Jacqueline Wilson’s new children’s novel, My Mum Tracy Beaker is due to be published October 2018. 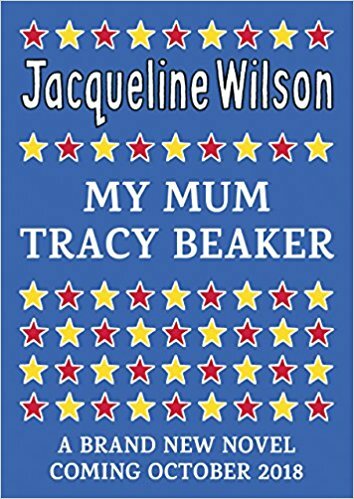 In an interview with The Observer, Wilson revealed, that it was after seeing mothers reading The Story of Tracy Beaker, to their children, that she came up with the idea. “…I thought: if we were in real time, Tracy herself would be in her 30s. And I’ve always thought that, even though Tracy had lots of problems in her life and a pretty rubbish mum who was never there for her, Tracy herself would be a good mum, no matter what.” The book is narrated from the perspective of Tracy’s daughter, Jess. I was disappointed. Tracy Beaker was back, not as I thought she would be, i.e. an adult with a degree in social work, but as a single mum fighting to make ends meet. It would seem Wilson ignored what happened in the TV series. Nothing wrong with single mums or council estates, except that as Tracy Beaker was the first child to be portrayed in care with an absolutely huge following, I wondered why the author was reinforcing a care stereotype – single mum on the dole here, rather than drug addict, criminal, or homeless (as far as we know). What seems apparent from these comments is that there is a conflict between the lived experience and the fictional story. The Tracy Beaker novels and TV series are written or rather set up with a particular conflict that is resolved either at the end of a chapter or episode more often idealistic rather than realistic. Real life in a children’s home isn’t like that. Life in care is tough, there is rarely a happy ever after or certainly not one that happens very quickly. And yet we all want that happy ever after…don’t we? My research is about changing the narrative around the stereotypes/statistics that say care leavers end up in negative situations. I want to see care experienced people given success stories not re-inforce the old yarns. When I say success I don’t necessarily mean all jingling, stars and banners, but the more ordinary, everyday life; looking after oneself and one’s family like thousands already do. Children in care nowadays are encouraged to reach their potential, to go to university, and so on – so the grown up Tracy Beaker, scratching to make ends meet, in and out of work; from such an established author, made me uncomfortable. There has been a huge move to improve how care experienced people are seen and remove the stigma that sometimes surrounds them. But, am I being idealistic wanting a more positive care experience representation? This for me is part of what’s wrong with the care narrative and why I was disappointed with Wilson’s latest premise. 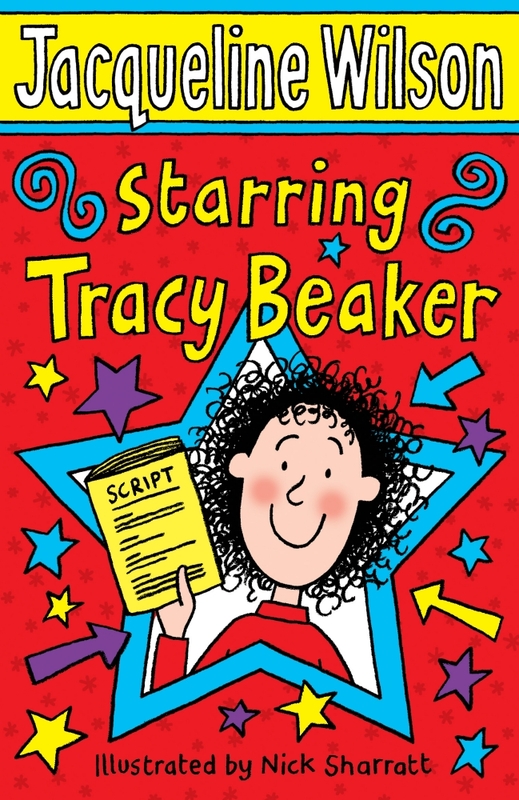 The Tracy Beaker story was aspirational, even at the start of the story she was already a star and famous! She set herself up as a writer and used her ability to imagine different outcomes to her life to change her ‘care’ narrative. Award winning author of Tony Hogan Bought Me an Ice-cream Float Before He Stole My Ma (2014), Kerry Hudson, says: It is impossible for me to overstate the importance of positive role models, positive outcomes in narratives for young disadvantaged people living on the edges. They provide a window of hope, the tools to reach that new horizon and, when I was young and at risk of slipping into dysfunction entirely, changed and saved my life. Lisa Cherry said: ‘…for me the bigger picture is around the impact of having been in care upon her own child. Granted, there could have been different ways to do this but transgenerational trauma is difficult to convey in art. I am more interested in how she does that. How do we have that conversation if everyone lives happily after? Overall, what this ongoing discussion illustrates – is that care experienced people don’t want negative portrayals and that is a hugely positive thing. It doesn’t mean success or failure. It means they want change for themselves, they want inspirational and aspirational stories about themselves and don’t want to be portrayed as victims of their pasts. Tracy Beaker was published in 1990 when there wasn’t any representation of the child in care. Wilson has never forgotten the stigma that was attached to children in care in the 1990s, and said there were a lot of problems with the books initially because they dealt with this subject matter. It was difficult to sell merchandise and the rights to the books because Beaker was not seen as aspirational, she says. After her mother died in 2015, Wilson opened up even more about her unhappy childhood. What this tells us, is that with the sort of traumatic background that Wilson had, she could easily have been a child in care. That is quite a revelation. Though not a surprise. And a reminder that as readers it’s good to respond with kindness rather than anger to things that may trigger us from the past. An author who writes with such knowing, in my opinion, often has personal knowledge even if that knowledge is transposed through fiction. There are already a huge amount of negative care stereotypes in fiction, an over-abundance of kids from care or adopted who become serial killers in crime fiction. If writers must use ‘other’, then carrying out impeccable research and making a story believable, rather than lazy use of a stereotype, is a must. So far Wilson has not commented on what could possibly be perceived as a negative response to the news about the new novel. And we still have some time to go before we can read the new book as it’s not published until later this year. Let’s be absolutely clear and fair, we can’t really have a proper discussion or answer any questions until the book is published and we can see what the whole storyline is. What needs to happen now? It would be a really positive move if publishers and writers were to organise a conversation around care in fiction, like they have for other less featured diverse characters and include the care experienced reader too, it’s long overdue. *Care Leavers Rock is a group for people who were in care at some point in their lives. They build lasting friendships and relationships, answer questions and queries about leaving care issues from education to living alone. They have care leavers who work directly with children and young people as professionals and they also have care leavers who left care a long time ago but still have a special voice. All care experienced people are welcome. This entry was posted in Blog and tagged Care, care experience, Children's Fiction, novel, Tracy Beaker. Bookmark the permalink.